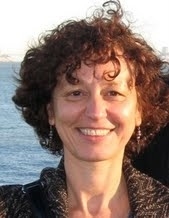 Clava Brodsky, translator, is a student of government and philosophy at the University of Virginia. Her interests include Plato's philosophy and modern theories of human rights. Nicky Brown recently gained a Masters Degree in Applied Translation Studies from the University of Leeds and now works as a full-time translator. Her interests encompass all of Russian culture with a particular passion for the works of Dmitri Shostakovich and the novels of Aleksandr Solzhenitsyn, as well as history, most particularly Russia in the 20th century and the role that women played during that time. Nathalie Corbett is 37 years-old, and a (nearly) final year student of Russian. She lives in Leigh-on-sea in Essex with her long-term partner, Gary, and 2 cats, Hamish and Morag. Originally from Edinburgh, Nathalie loves running and gardening (preferably not at the same time), and is a great fan of Russian Literature. Simon Cosgrove, editor, worked for ten years on grantmaking programmes supporting human rights organizations in Russia – for five years as Team Leader of the European Instrument for Democracy & Human Rights at the Delegation of the European Commission in Moscow, and subsequently for five years as human rights programme officer for the Russian Federation with the Chicago-based John D. and Catherine T. MacArthur Foundation. He is the author of Russian Nationalism and the Politics of Soviet Literature (Palgrave, Basingstoke & New York, 2004) and has a PhD in Russian history from the UCL-School of Slavonic and East European Studies in London (1997). For an interview with the editor on hro.org, see: Interview/Russian or Interview/English. John Crowfoot , translator, first visited Russia as a schoolboy in 1968. He renewed his interest in all things Russian as a student at Keele, Birmingham and Moscow Universities and after regular visits to the Soviet Union from 1979 onwards he settled in Moscow. From 1986 to 1999 he lived and worked there, being particularly involved, as editor and translator, with the English version of Alexander Podrabinek’s Express Chronicle, the Vozvrashchenie society and publisher, and the Russian Booker Prize. Among the books he has helped make known in English he would particularly single out Till My Tale is Told: Women’s Memoirs of the Gulag (1999) and the first English collection of Anna Politkovskaya’s journalism, A Dirty War: a Russian Reporter in Chechnya (2001). Since Anna’s murder he has worked closely with the International Federation of Journalists and its Russian partners on issues related to the killing of journalists and was the compiler and one of the authors of Partial Justice (2009), the report of their findings. Masha Karp is a London-based freelance journalist with a special interest in relations between Russia and the West. Her articles have been published by The Common Review, Open Democracy, and in Russian by Inostrannaya Literatura. Masha was Russian Features editor (1997-2009) and previously a producer (1991-1997) with the BBC Russian Service. Her programmes on cultural, political and social issues are available at http://www.bbc.co.uk/russian/indepth/radio_archives.shtml. She also produced, presented and participated in Radio 4 and the BBC World Service radio programmes in English (including Crossing Continents, Word of Mouth, New Europe, Assignment, Pick of the World and Outlook) and in the live BBC World Television show Europe Direct. Masha is a translator of English and German poetry and prose into Russian and has published translations of many writers, including Virginia Woolf, George Orwell, Dylan Thomas, W.H. Auden, Elizabeth Jennings, Alice Munro, Andreas Griffius and Nicolaus Lenau, as well as articles on translation. She is a member of the St Petersburg Writers' Union and the Literary Translators Guild in Russia and a member of the UK Chartered Institute of Linguists. She is chair of the Pushkin Club in Britain. She has recently published BBC Plays by the Kremlin's Rules, an article in Standpoint, November 2010. Elizabeth Levendeli, translator, studies French and Russian at Queen Mary University of London with particular emphasis on Translating and Interpreting. Olga Savage-Stepanova, a translator, grew up in Moscow, Russia. In 2002 she joined the International Secretariat of Amnesty International where she spent four years as a coordinator for Amnesty International’s representative office in Moscow. She is currently pursuing a course in NGO Management at Cass Business School, City University London. She has a BA in English Language from the Moscow State Linguistic University. Julia Sherwood grew up in Bratislava, then Czechoslovakia. In the late 1970s she moved to West Germany; after graduating from Munich University she settled in London where she worked at the International Secretariat of Amnesty International for over twenty years, focusing mainly on the development of local branches of Amnesty in Eastern and Central Europe. She later helped build advocacy capacity of staff working in local programmes of Save the Children UK in a range of countries including China, Ethiopia, Pakistan and former Yugoslavia. Currently based in Chapel Hill, North Carolina working as a free-lance translator, Julia has recently translated, from the Slovak, Daniela Kapitáňová Samko Tále’s Cemetery Book (Queen Mary, University of London), a novel chosen by William Boyd in the Guardian as one of his books of the year.